Hobbywing Xrotor Micro BLHeli series ESC are specially designed for competition FPV racing drones. Those ESCs has incredibly small size and light weight.Xrotor micro 30A BLHeli ESC is suitable for 130mm to 280mm diagonal wheelbase fpv racing drones. It supports 2S to 4S battery. The use of F396 48MHz MCU, imported MOSFETs (Toshiba MOSFETs for 20A and 35A ESCs, Fairchild MOSFETs for 30A ESCs) and ceramic capacitors, 3-in-1 drive ICs, 3-ounce copper, 4 layers of PCBs and other quality components guarantees less heat, higher efficiency and rapider response. 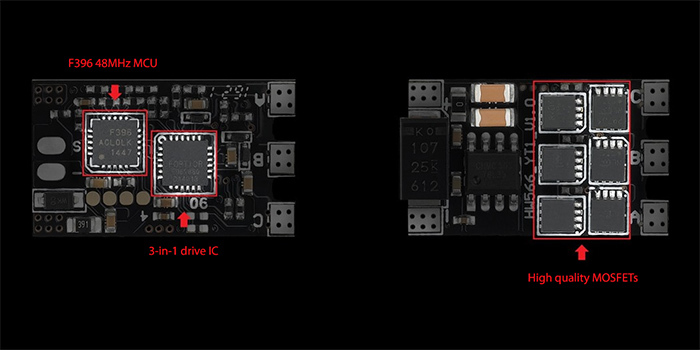 Users can flash or upgrade the BLHeli firmware via the signal cable (on ESCs), and program 4 ESCs simultaneously after connecting their flight controller to the BLHeliSuite software if the flight controller uses the CleanFlight firmware. Damped light mode improves the motor retardation and allows users to brake the FPV drones more efficiently. Active-freewheeling technology improves driving efficiency, flight time and heat dissipation. 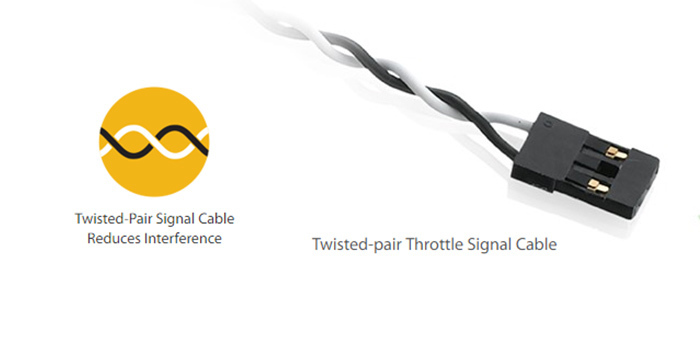 The ESCs support OneShot125 high speed throttle signal and regular throttle signal (within 500Hz) modes.